Mid-Life Cruising!!! : Winter in Louisiana! Ken and LSU fans waiting for pep rally! Even though it's winter, living in Louisiana makes it easy to get through the cold season. There's always something going on in the city! This past Saturday night we watched the New Orleans Saints beat the Detroit Lions in the Superdome. 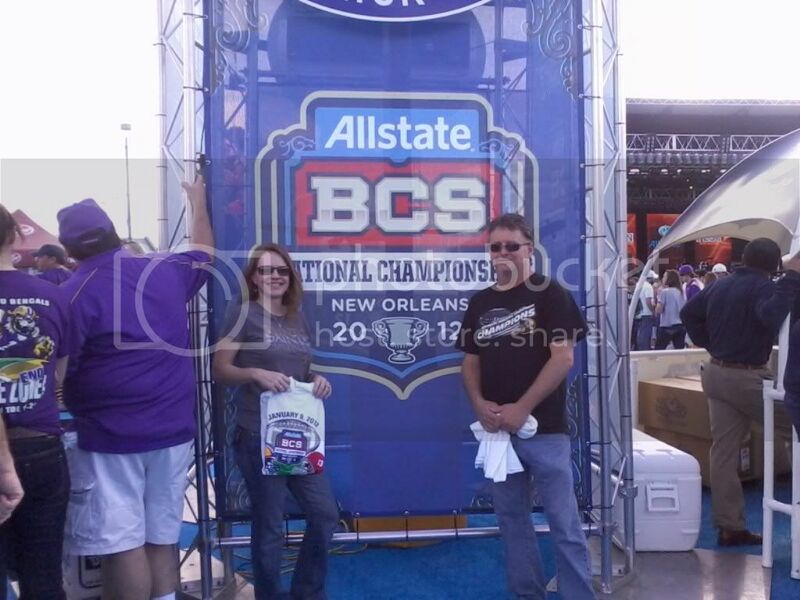 The next day, we were in the French Quarter at the BCS National Championship "Fan Fest". 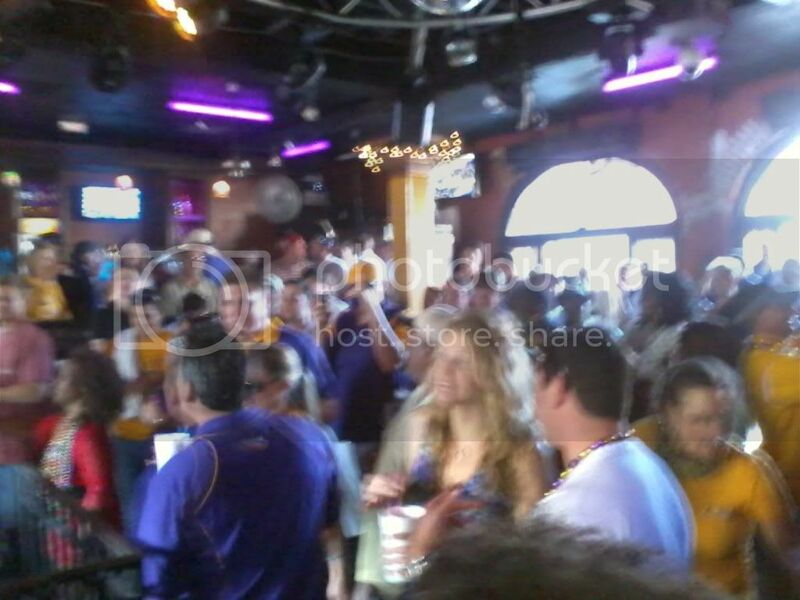 This was a huge gathering of LSU and Alabama fans, all partying and anxious for the big game Monday night. 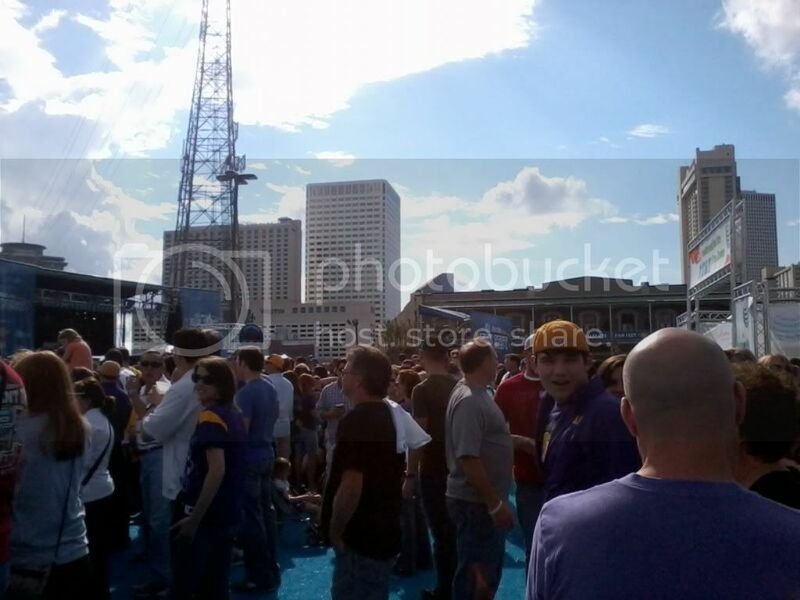 With the Saints game and the LSU game playing in the Superdome the same weekend, the French Quarter was packed! It was full of purple and gold (with a little bit of red in the mix) and it was fun to be a part of the excitement. As you can see from the picture, this winter day was warm and we had a tough time choosing between stealing a day on the water or joining the fans in New Orleans. Since our daughter goes to LSU and the local news kept tempting us with clips from the city, we chose to join the LSU fans. As we drove towards the city and over Lake Pontchartrain, we started doubting our decision when we saw a sailboat on the lake. However, we had a great time and hope for another warm winter day soon to go sailing. The bars were full of purple and gold! Last night turned out to be really disappointing for us LSU fans, but we still love our team and they had a great season. The Saints will have another play-off game this Saturday (against the 49er's), and hopefully they'll make their way to the Superbowl on February 5th! 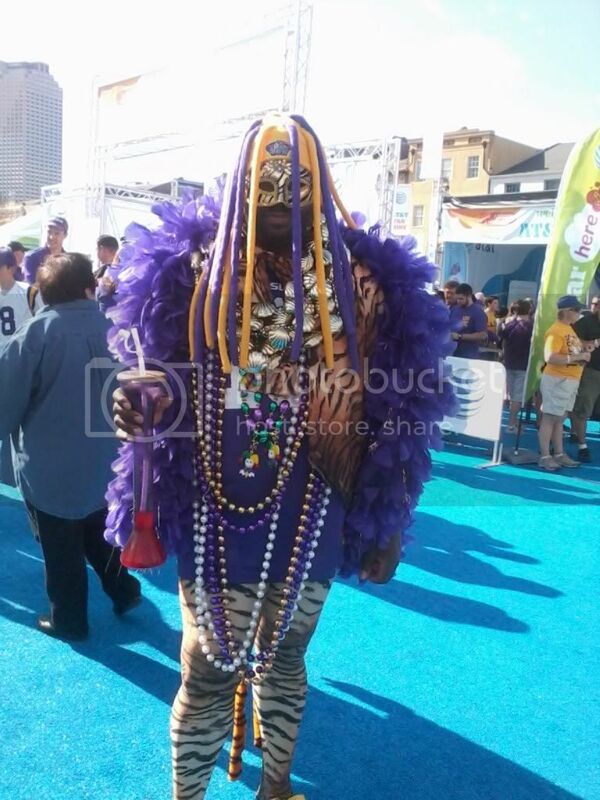 Mardi Gras is also just around the corner, with an early date of February 21st. That means the parades start in just a few weeks. By the time all of that is over .. winter should be almost over and we'll be spending more time on Nirvana. 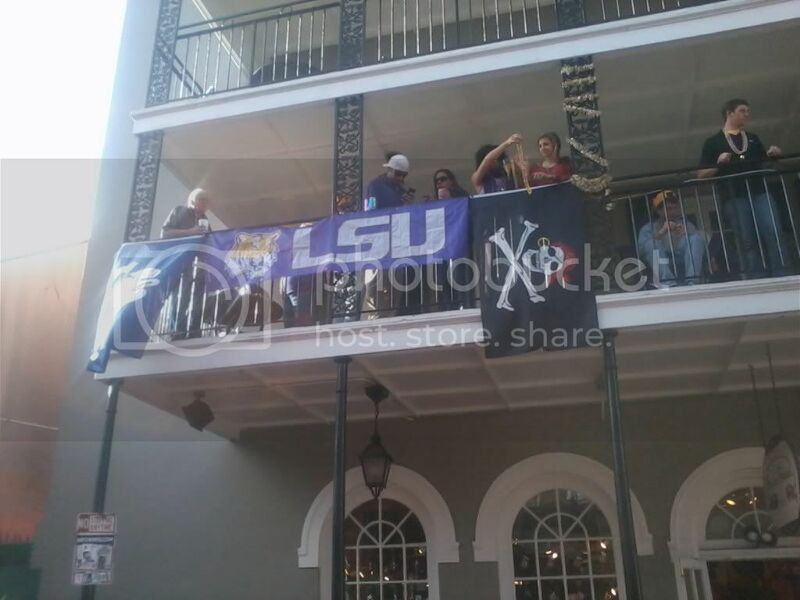 I love this picture, showing LSU and Saints colors .. with one red Bama sign! 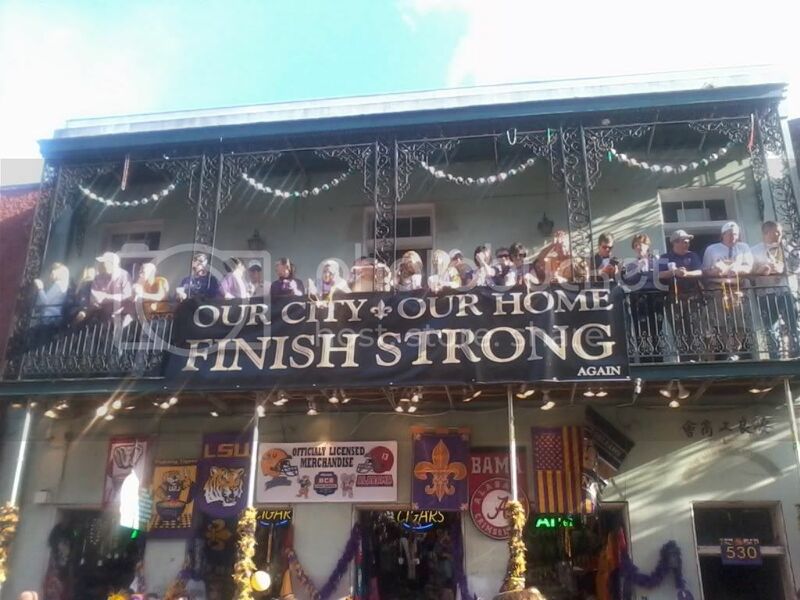 New Orleans is "Our City, Our Home"! It's hard to be productive when living so close to so much fun! However, life is short and we're enjoying the journey while working on our goals. When winter is over we will be spending more time on fixing up our house for resale ... and sailing. We're taking one step at a time! I just love how much pride "Louisianans" have. When I was there I saw Saints stickers on every car. And I could go for a beignet right about now! :) Happy New Year! Yes, we have a lot of "spirit" here in the South! Oh, I could surely go for a warm beignet and cup of cafe au lait .. mmm! Sounded like a fun day to me. Glad you had a great time. Ah Pat O'Briens then on to Antoine's; I probably would never have left Pat's in my much younger days! We have friends in the area but they only tell us what a great time they're having, they don't show us. Thanks for the photos! Love your blog, but ROLL TIDE !!! !